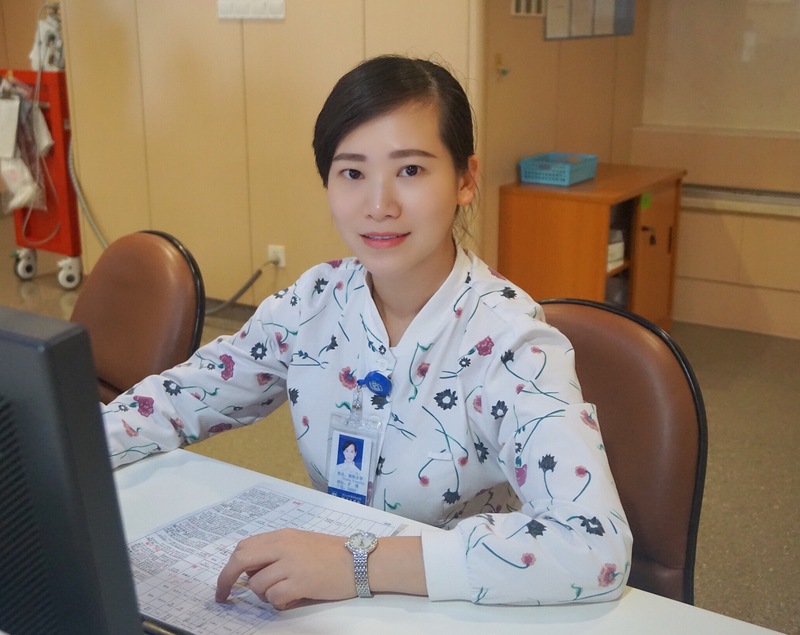 International visiting nurse professional, Ouyang “Apple” Xiaoping, RN, a medical oncology specialist, nurse educator and charge nurse from Sir Run Run Shaw Hospital (SRRSH) in Hangzhou, China was recently honored with the DAISY Award. The DAISY Award recognizes and celebrates nurses who provide extraordinary, compassionate and skillful care every day. These nurses are nominated by leaders, co-workers, patients and families. The acronym, DAISY, stands for Diseases Attacking the Immune System. The DAISY Foundation was founded in memory of J. Patrick Barnes, who died in 1999 at age 33 of a rare autoimmune disease, after surviving two bouts with Hodgkin’s disease. Two months before he became sick, he and his wife, Tena, had welcomed their first baby. The Barnes family felt blessed by the nurses who had cared for Patrick during his last weeks of life in the hospital. To recognize them for their kindness and compassion — as well as their clinical excellence — the family established the DAISY Awards. Xiaoping spent the last seven weeks observing in several Loma Linda University Medical Center nursing units through the Global Health Institute’s International Development Program. During her visit she had an opportunity to meet fellow Medical Center 2017 DAISY Award recipients. DAISY Award recipients Apple Xiaoping, RN, from Sir Run Run Shaw Hospital in China (center), between Loma Linda University Medical Center unit 4100 nurse Rocio Vargas (left), and Mikael Kirkham, RN unit 6200 (right).